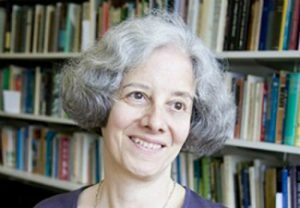 The Collaborative Program in Ancient and Medieval Philosophy (CPAMP) is pleased to welcome Gail Fine, professor emerita at Cornell University. Professor Fine’s research interests include ancient philosophy, the rationalists and empiricists, epistemology, and metaphysics. She is currently working on a cluster of issues centered in ancient epistemology, especially in Plato, Aristotle, and Sextus Empiricus. Professor Fine’s talk will be followed by a reception.